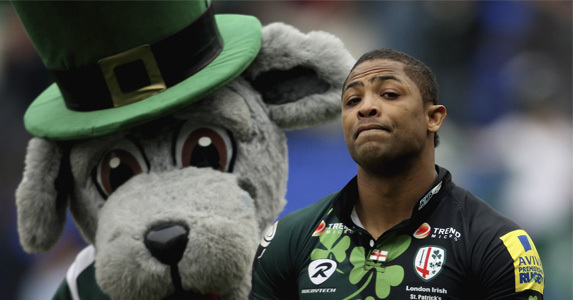 DELON ARMITAGE of London Irish was this evening banned for five weeks for a dangerous tackle on Bath Rugby’s Tom Biggs during the Aviva Premiership match at the Madejski Stadium on October 29. The RFU Disciplinary Panel of His Honour Judge Jeff Blackett, the RFU Disciplinary Officer, Robert Horner and Peter Budge suspended Armitage from November 4 (the date of his suspension imposed by London Irish after an internal disciplinary hearing) to December 8. Armitage can play again on December 9. He was also suspended for three weeks for striking Dave Attwood with his knee and that suspension will run concurrently with the longer penalty. Judge Blackett said: “We accept that both these incidents were reckless and not malicious. However, in relation to the dangerous tackle on Tom Biggs there was the potential for significant injury and for that reason we believe that it was a mid-range entry level offence of six weeks. We increased it to eight because of concerns raised by the IRB about injuries caused by dangerous tackles and because of his poor disciplinary record. “We then reduced the sanction to five weeks because of his guilty plea, his contrition and the impressive way he conducted himself at the hearing. In relation to the strike to which he also pleaded guilty, we decided that this was a low end entry offence and for that we imposed a three-week suspension. The citing against Saracens’ Owen Farrell for a dangerous tackle on Gloucester Rugby’s Henry Trinder during the Aviva Premiership match at Kingsholm on October 29 was dismissed as the panel deemed there was no act of foul play.